You might think we're super moms. That we do it all. That we twirl happily through spotless homes, humming as we casually whip up a four-course meal while dispensing hugs to the little ones. 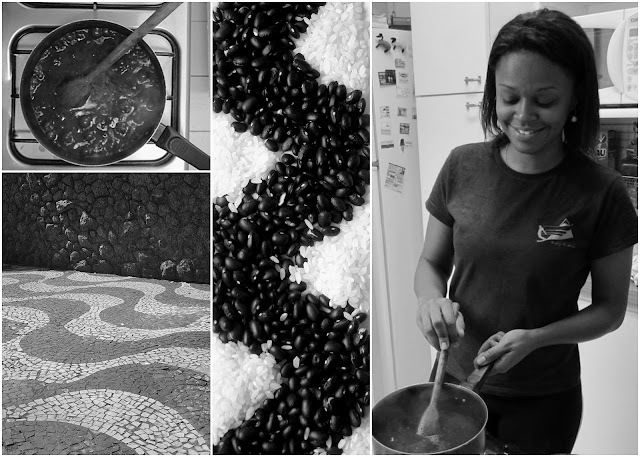 In reality, though, it's more often like this: Shortly before Anna was due at my door with kids in tow, I plunked my preschooler in front of "Handy Manny," swept up most of the cereal under the kitchen table, and cracked open the lid on the flour canister. A half-cup of all-purpose flour. That left me ... about five and a half cups short. I improvised pizza dough, tossing in a few cups of white whole wheat and bread flour. The result: Well, it would have made a lovely loaf. But the stuffing! Ricotta, ham, broccoli, and mozzarella, yum. These folded-up pizza pockets are tasty, easy, and portable -- a great on-the-go meal, even for breakfast. Use your favorite pizza dough, be it made from scratch or refrigerated. The kids ate them right up, scarcely noticing the tell-tale green bits indicating the presence of a vegetable. Not only did I mess up the dough, I messed up the portions. I divided dough for one pizza round into four calzones, which resulted in mighty hefty calzones. Way too much dough. Dividing the dough into six portions will yield a much thinner crust, more evenly matched to the fillings inside. You can prepare prepare these a day before baking. The assembled calzones can also be frozen until ready to bake. 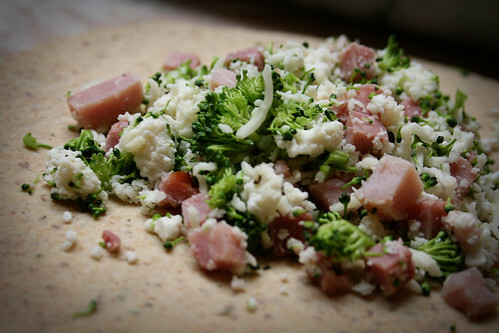 In a medium bowl, combine ricotta, broccoli, ham, mozzarella, and salt and pepper. Divide pizza dough into 6 equal portions. Roll out each portion into a circle about 6 inches across. Place a half-cup of filling in the center, then fold over dough to create a half-circle. Press edges with your fingers or a fork to seal. 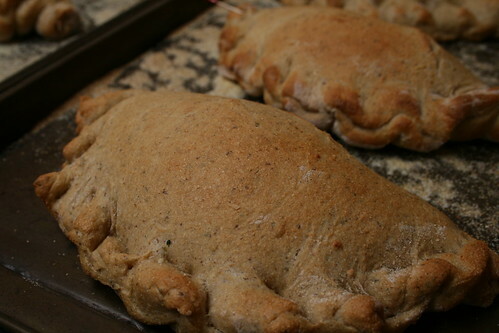 Sprinkle a baking sheet with cornmeal; set calzones on sheet, leaving a few inches between them. In a small bowl, whisk egg with water. Using a pastry brush, brush egg and water mixture over the calzones. Bake until dough is lightly browned, 14-18 minutes. Hey! An alternative to homemade pizza, which the kids love but the grown-ups get sick of after a while. I'll have to try this with my homemade crust. That photo up top is really lovely. And so is the tomato one. Talk about eating with your eyes!